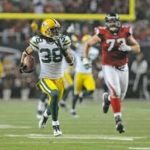 The last image most Packers fans have of Tramon Williams is him getting beat for the game-winning touchdown in the NFC championship game in 2014. I guess that’s why so many people thought I was crazy for suggesting a year ago that the Packers should sign the veteran cornerback in free agency. Well, guess what? I’m about to make that same suggestion again, only this time even more emphatically. 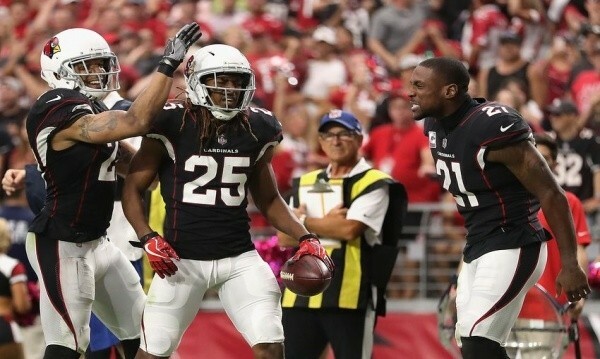 Williams turns 35 on Friday, but he’s coming off a near Pro Bowl caliber season. Yes, that’s how well he played in 2017. Despite his age, the former Louisiana Tech star didn’t look much different from the player who starred for Green Bay from 2008 to 2014. Williams might not be as quick or as fast as he was four years ago, but his competitiveness and instincts are off the chart. And let’s be clear, Williams is no slouch athletically – even at an age when most corners have been retired for a few years. Watch the videos below and see for yourself. In the first, Williams (bottom of the screen) stays stride for stride with Seattle’s Amara Darboh 35 yards down the field. The rookie from Michigan ran a 4.45 prior to last year’s draft. What’s so impressive is the way Williams is able to effortlessly flip his hips. In the next two videos – which came on consecutive plays versus the Seahawks – Williams covers Tyler Lockett and then Paul Richardson like a blanket. He still has the feet and agility needed to pop out of his breaks and close on the ball. And these examples weren’t hard to find. They literally happened all the time last season. The other thing that makes Williams so attractive is his personality. He would bring instant leadership and maturity to a position that could definitely use some of both. The six cornerbacks currently under contract average 23.8 years of age and have a combined 10 years of experience in the National Football League. Plus, the new position coach (Jason Simmons) was assisting with special teams the past three seasons. Williams was paid $2.5 million ($500,000 signing bonus) last season, and he’s due for a nice raise. That said, his age will keep the price tag down. And while I would expect the Cardinals to be among a number of teams interested in Williams, it’s hard to imagine Green Bay not having an advantage. After all, that’s where he began his career – not counting a few months in Houston – and it’s where he had his greatest success. Add Williams to Kevin King and another free agent – Indy’s Rashaan Melvin or Buffalo’s E.J. Gaines would be ideal – and the Packers have a chance to be pretty good at the position. Then hit on the right player in the draft and what’s been a weakness for the past few seasons actually has a chance to be a strength in 2018. Is there a downside to signing Williams, whose familiar No. 38 jersey just happens to be currently available? Sure. He’s capable of hitting the wall at any time. He might’ve looked 25 six months ago, but he could look every bit of 35 six months from now. Nevertheless, the pros far outweigh the cons. That’s why Gutekunst needs to do what his predecessor, Ted Thompson, failed to do last year. He needs to bring Williams home.